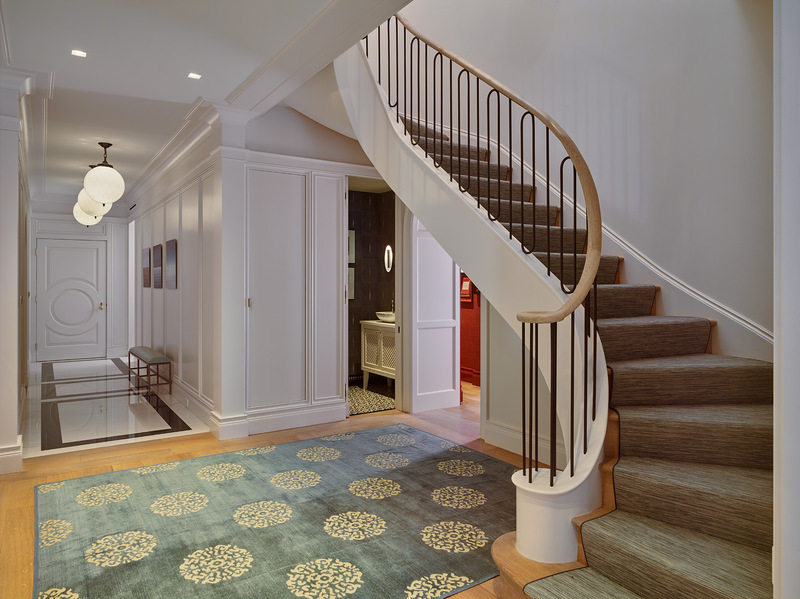 The Landmarked Apartment on Gramercy Park is a historic duplex originally built in 1909. 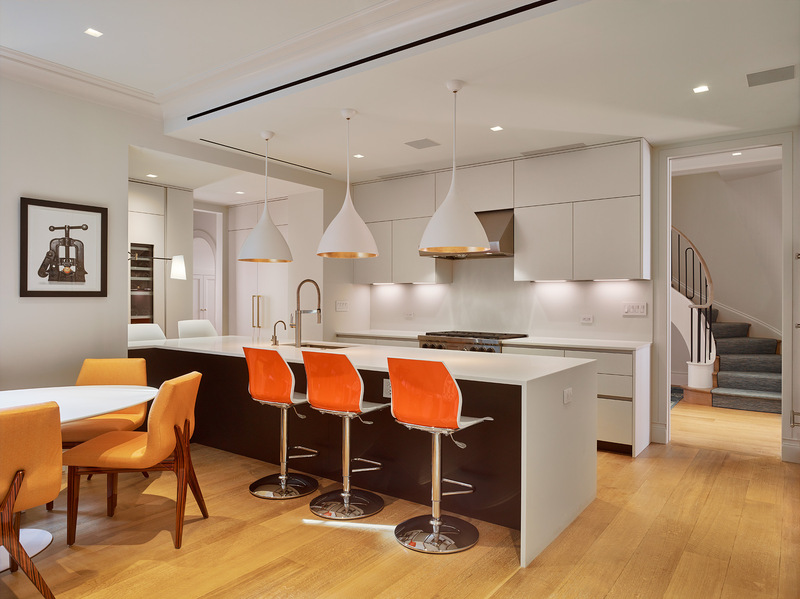 The 3,600-square-foot space was fully modernized while salvaging historic elements where possible, including original iron columns and six ornate wood-burning fireplaces. 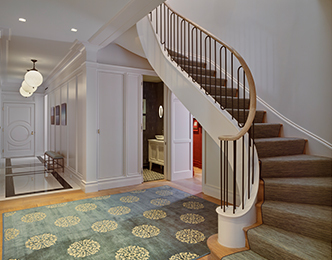 These original elements inspired us to stay traditional in tone while bringing in streamlined, modern elements. 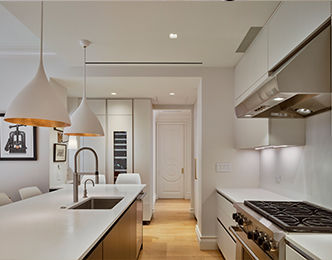 The resulting juxtaposition is best highlighted in the kitchen where the most ornate fireplace is nested inside a very clean and minimal cabinetry design fabricated by Cesar Kitchens. 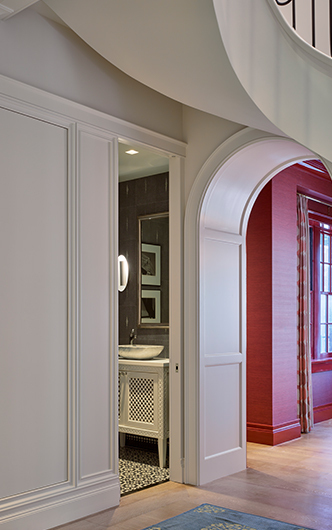 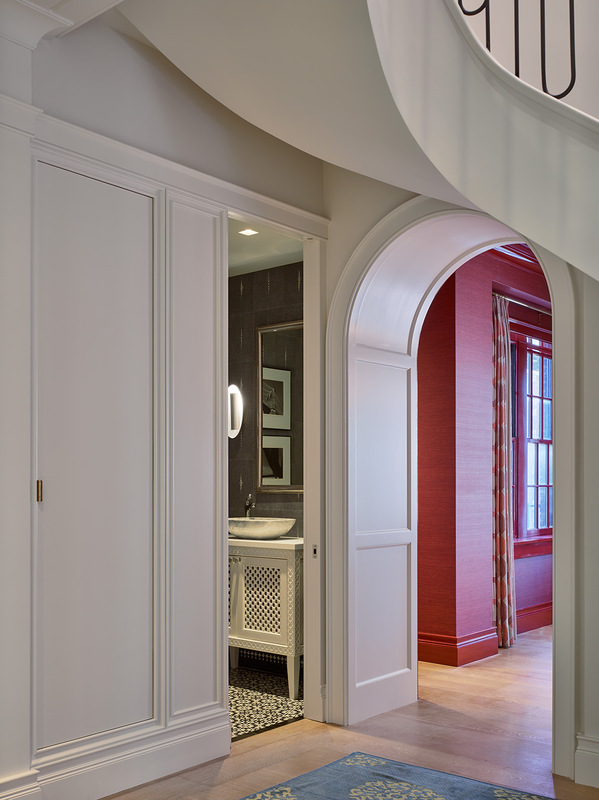 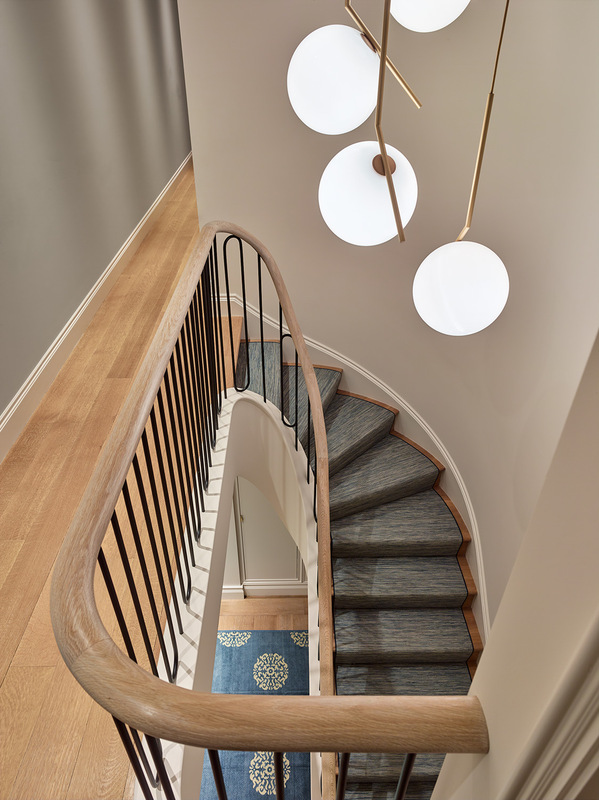 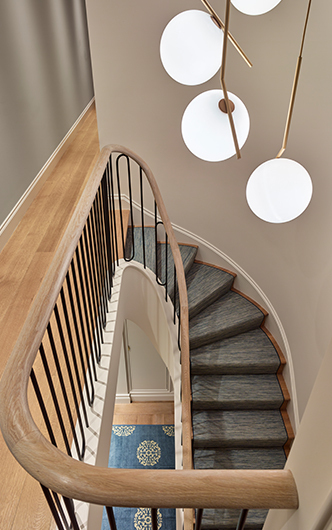 Throughout the home, hard edges are softened with airy rounded archways and a curved staircase. 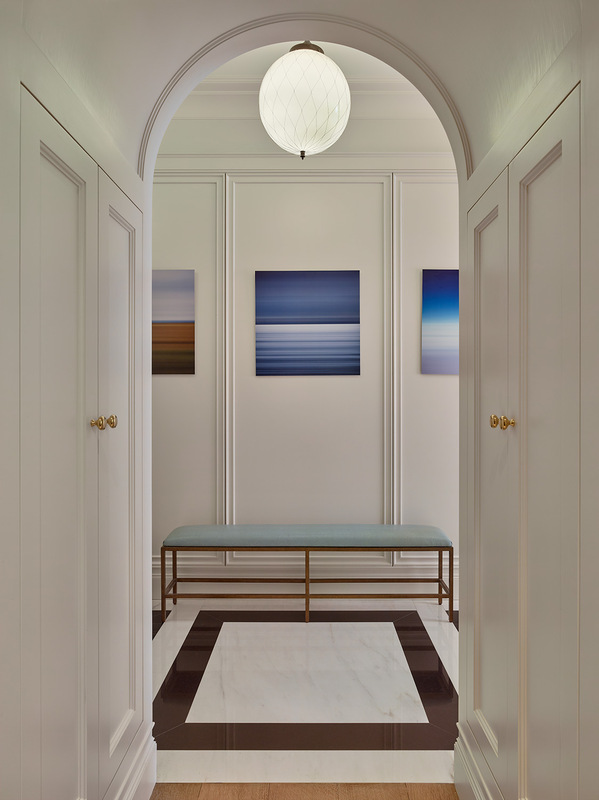 This approach resonated with the owner’s desire to open the space as much as possible, resulting in raised ceilings and the unification of two original rooms into one great room that stretches the view across the park. 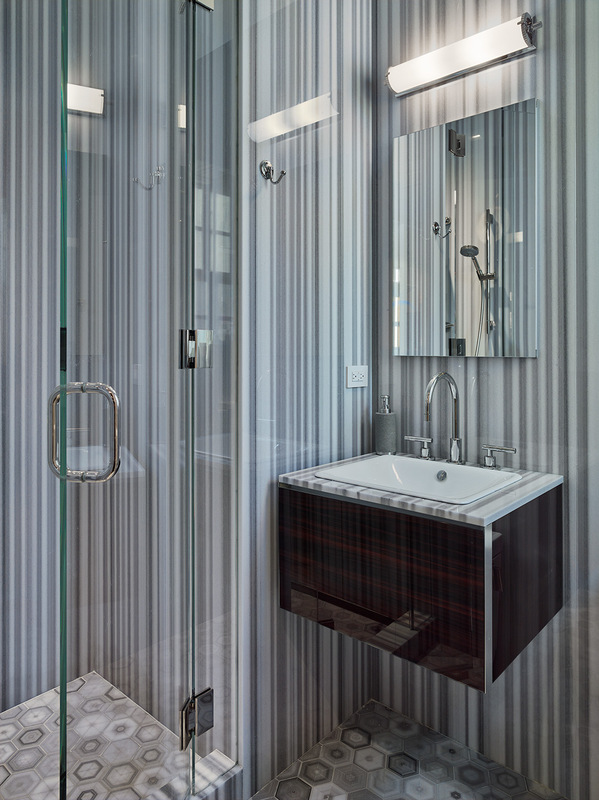 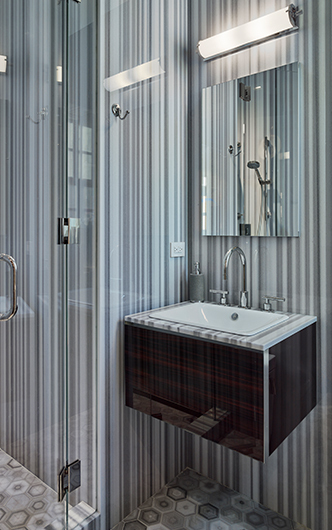 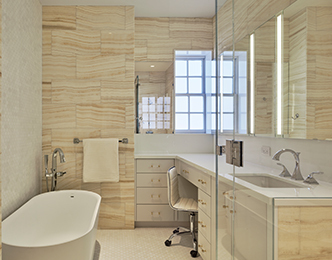 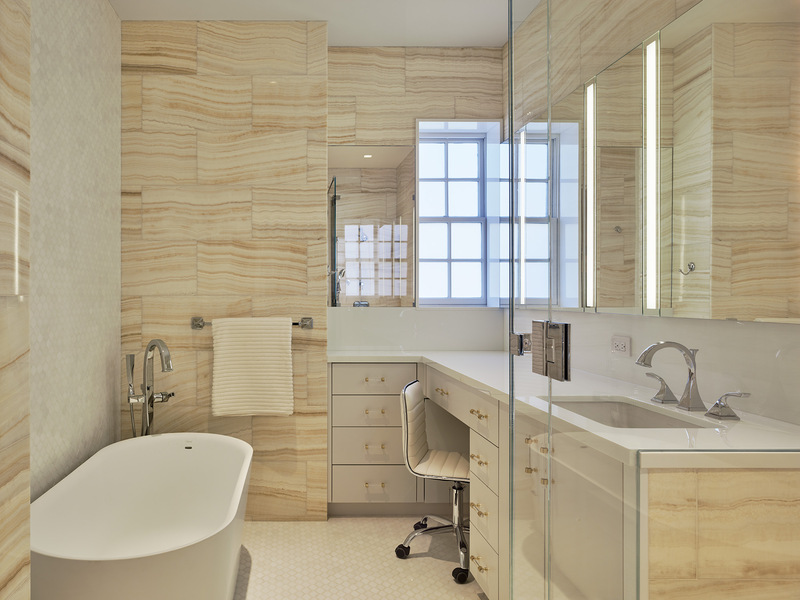 Modern touches extend to the apartment's four full baths. 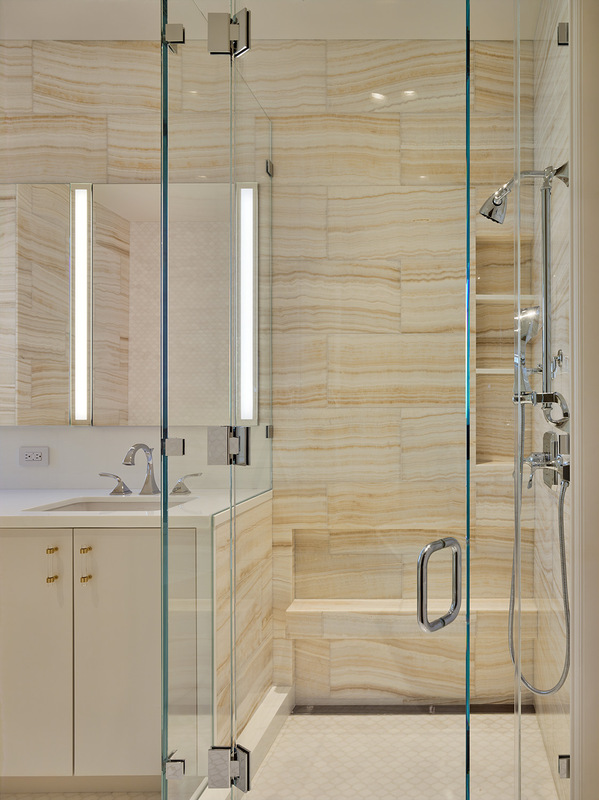 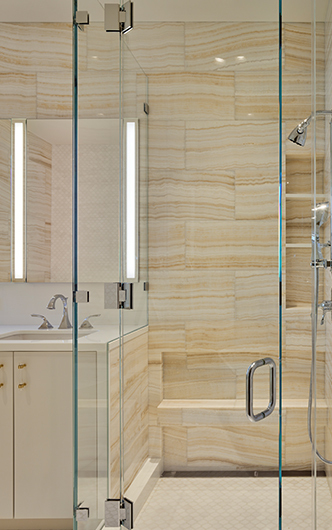 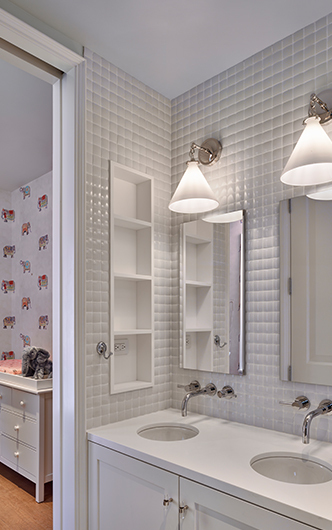 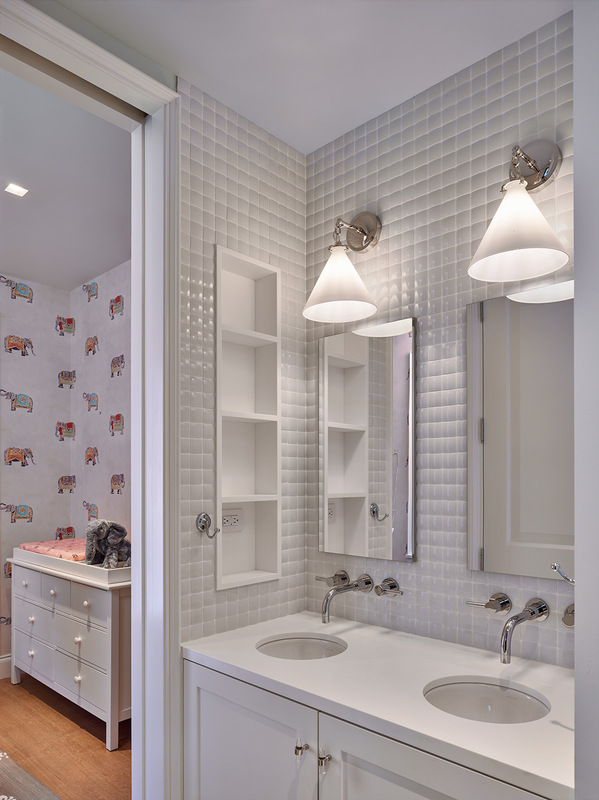 Each includes bold design statements, including floor-to-ceiling onyx tiles and full slabs of Zebrino marble. 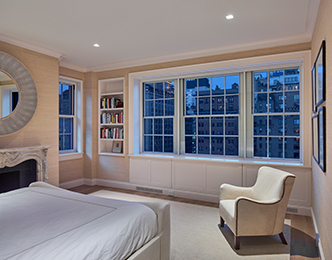 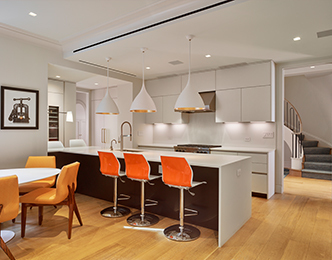 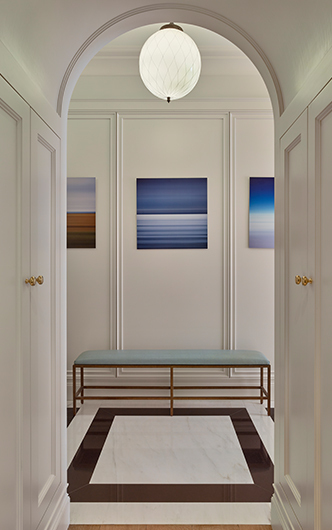 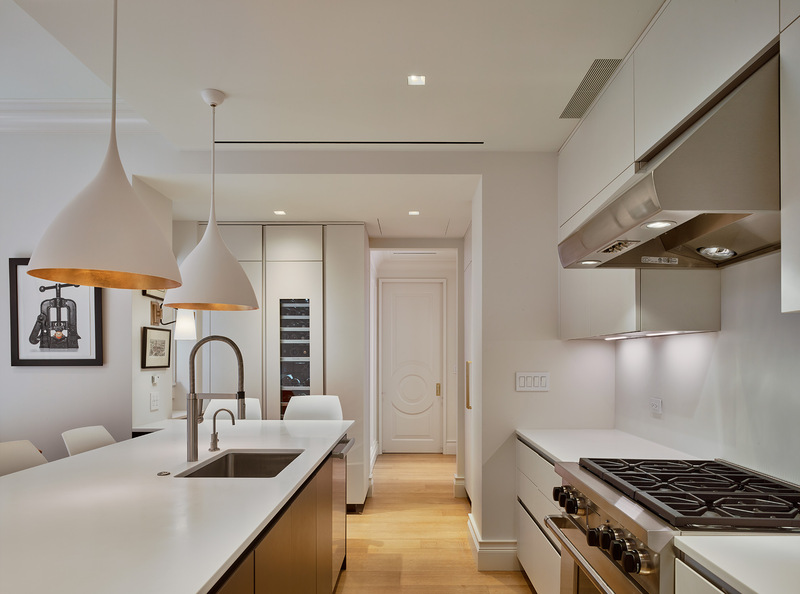 The final result is a sophisticated and modern home that thoughtfully nods to its past as it provides its highly coveted views of NYC’s unique Gramercy Park.